Patients with serious respiratory issues will avoid long hospital Intensive Care stays if Patrik Hutzel’s business idea succeeds. With help from the Small Business Mentoring Service he is a step closer to realising his dream. Patrik has worked in Intensive Care nursing for almost 15 years, including five years in senior management. He started planning Intensive Care at Home in early 2012. A passionate Intensive Care advocate, Patrik saw the potential for some hospital Intensive Care patients to be treated at home. For example home care nursing could allow long-term adult and child tracheostomy patients to have their ventilation treatment at home, preventing long hospital and Intensive Care stays. “I am a strong advocate of home care instead of hospital care and I have worked in this niche in Germany from 2001-2003,” Patrik says. 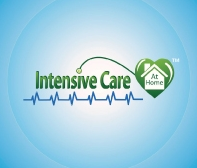 Intensive Care at Home will specialise in home care nursing with critical care trained specialised staff. This will improve patients’ quality of life and in the case of palliative care, quality end-of-life for patients and their families. It will particularly help tracheostomy patients who need 24/7 care. “The intensive home care service is a genuine alternative to a long-term stay in Intensive Care,” Patrik says. The services will focus on patients who now spend much of their time ventilator dependent in hospital Intensive Care, often putting their lives and those of their families on hold. Potential customers include local and interstate patients and their families, Intensive Care Units (ICUs), hospitals, insurers such as TAC and private health insurers and health departments. The service will also help free up ICU beds that cost up to $5000 a day to run. Home care is much less expensive. Patrik’s business model has huge potential but needed to cover many business and bureaucratic bases before could start. “I knew that I wanted to start this service but I also felt that I needed help from people have done similar things in the past,” he says. Patrik found SBMS on the Business Victoria website and was matched with mentor Barbara Anne Merrigan. Barbara Anne and Patrik have had six sessions over about 12 months and remain in contact. She says Patrik’s idea is unique to Australia and has huge potential, but he needs to convince hospitals and health authorities that it is feasible. Barbara Anne has helped Patrik to develop his business plan and navigate the many issues he faced such as accreditation, marketing and dealing with relevant health authorities. He also developed a website that is attracting much interest. Since seeing Barbara Anne, inquires have increased by more than 100 per cent. Patrik has also improved his capabilities and skills in terms of dealing with the uncertainties and stress when starting a business, especially in a highly regulated and highly political industry. Barbara says the business has huge potential to help free hospital beds at a time when health funding is a big issue. Patrik will also offer personalised service and support for families reintegrating into normal life that hospitals often don’t have the resources to provide. “Hospitals and their support services are at a loss when it comes to helping families getting their life back to normal if their loved one is in Intensive Care,” he says. If they use his services, Patrik says hospitals can treat more patients and improve staff satisfaction by concentrating on what they do best. “Intensive Care Units can focus more on their speciality, which is … acutely unwell patients in need of a critical care bed,” he says.